Discover the sights, history and legacy of Kazan, the capital of Russia's Republic of Tatarstan, on this city sightseeing hop-on hop-off tour. With your 1-day or 2-day pass, travel the city by open-top, double-decker bus that includes informative audio commentary. 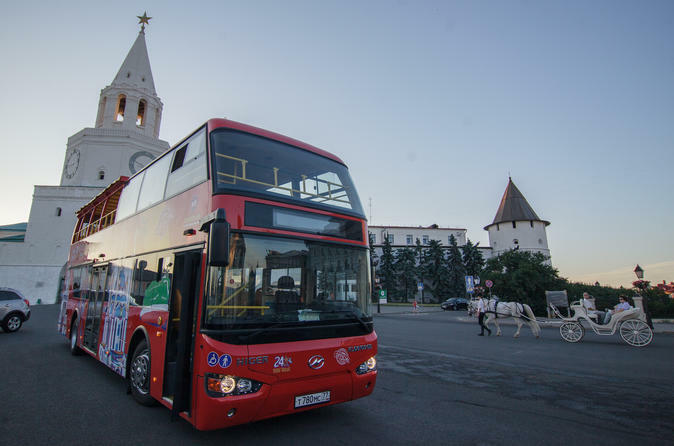 Hop on and off as you please at 11 stops around the city including the UNESCO World Heritage–listed Kremlin of Kazan and Russia’s third-oldest university, where Vladimir Lenin was a student.